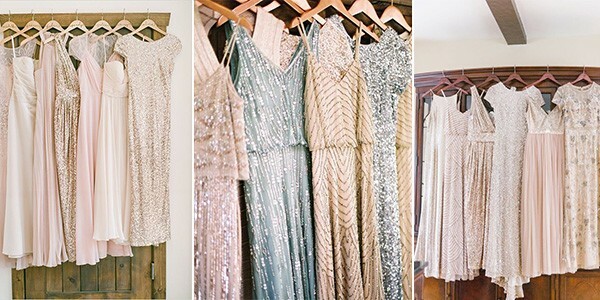 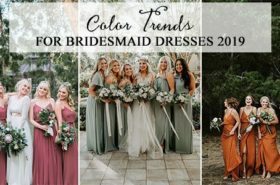 It’s no surprise that shimmering fabrics are popular choices for bridesmaid dresses, which can work well for any seasons. 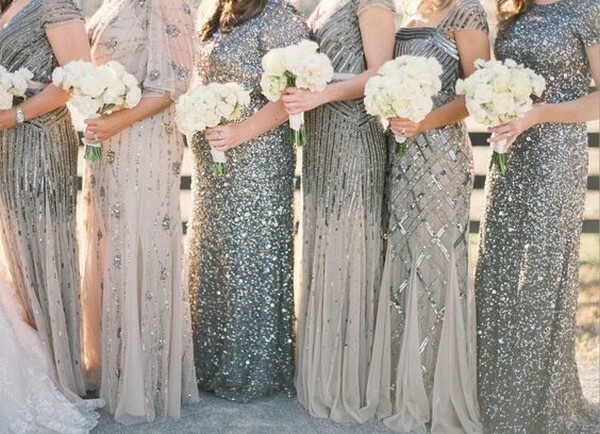 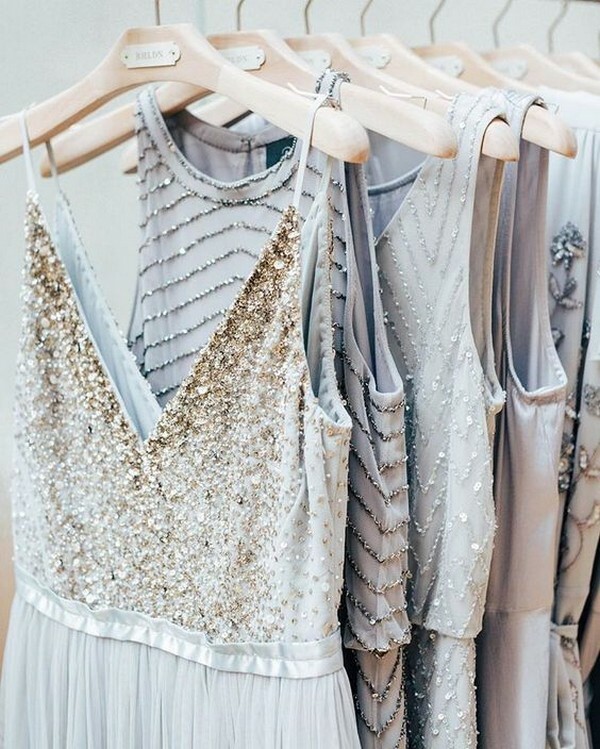 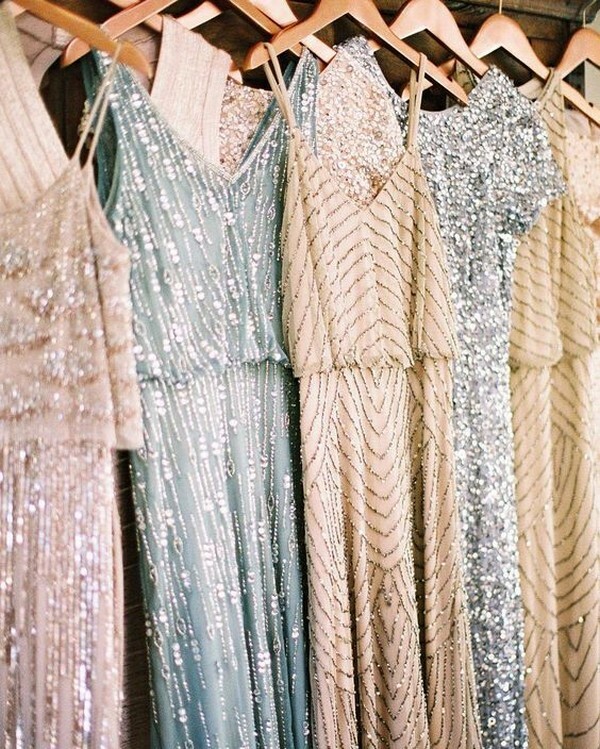 Shimmering doesn’t mean gold only, there’s so many different shades to shimmer in actually and I’ll share some gorgeous glitter bridesmaid dresses with several colors today. 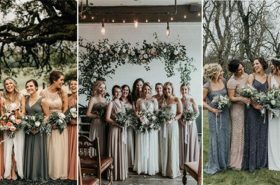 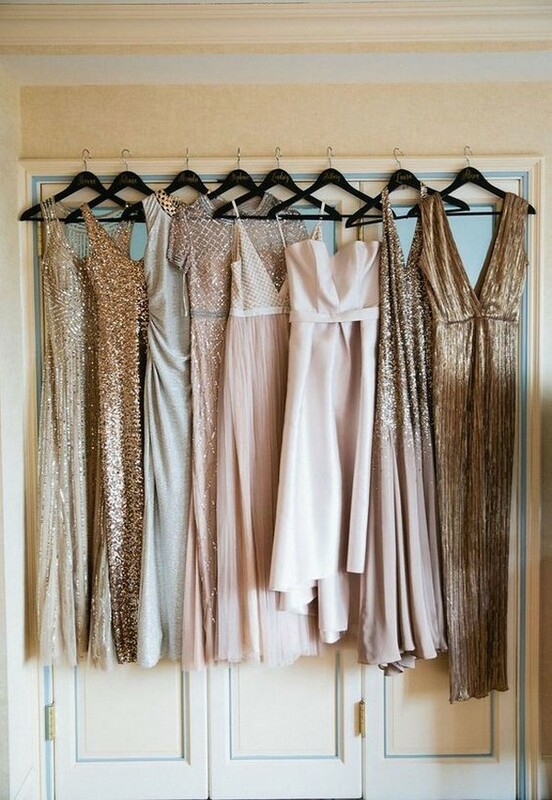 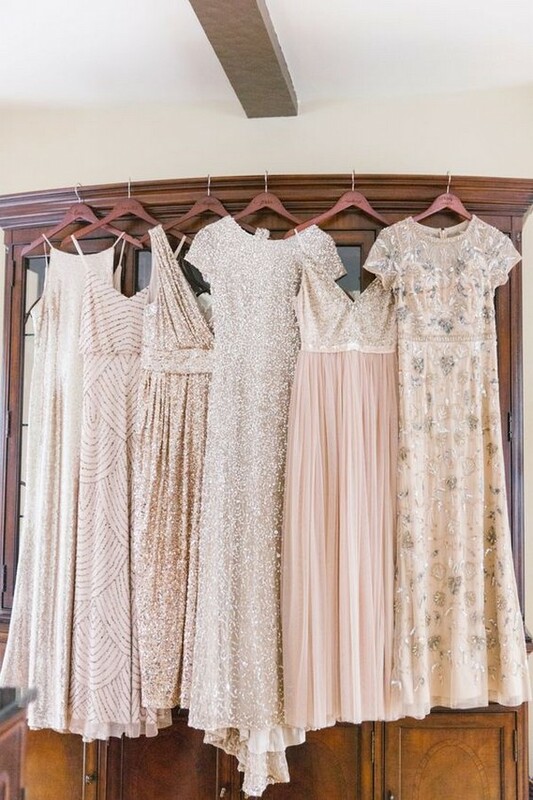 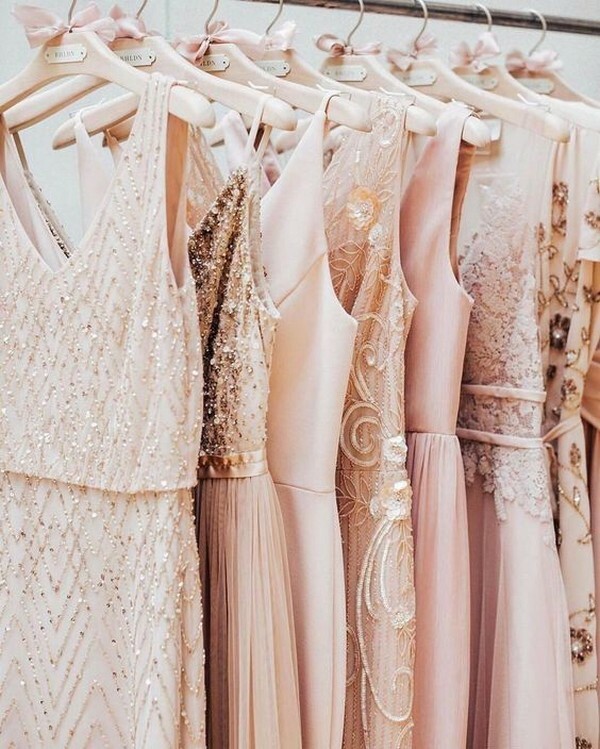 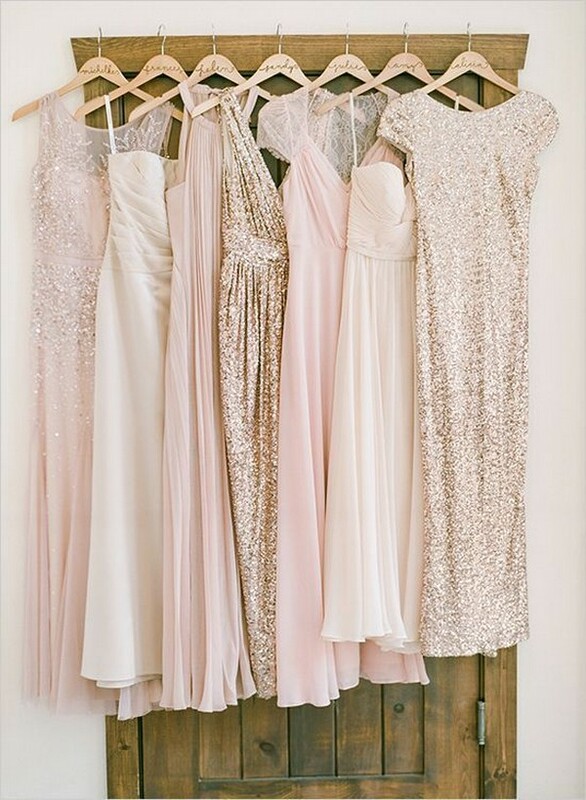 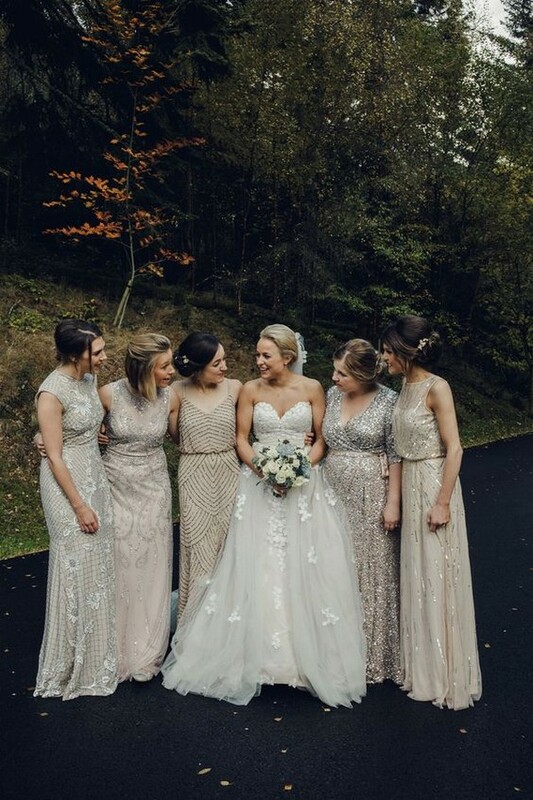 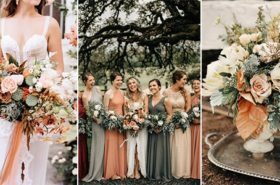 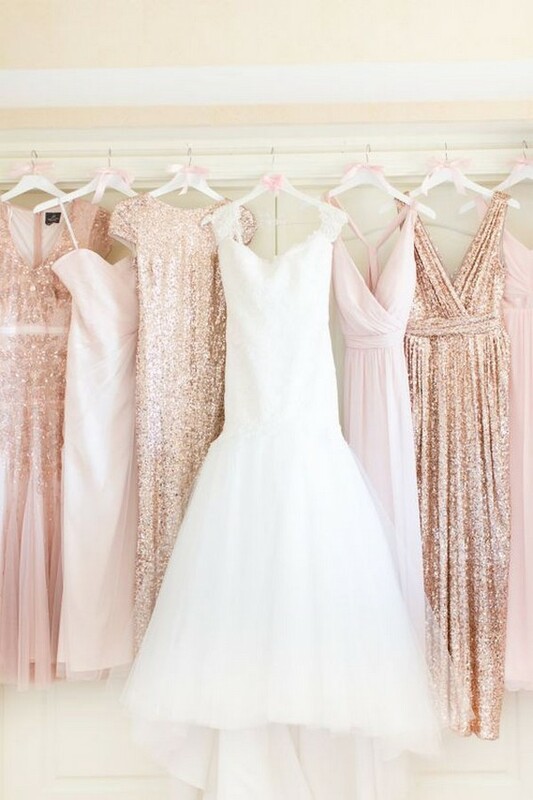 Whether you’re mad about rose gold, a sucker for sequins or you just think your girls would look incredible in a trio of gold bridesmaid dresses, you’ll find tones of frankly fabulous ideas here.